The KMC XD778 Monster wheel is available in 18, 20, 22 and 24 inch sizes. Standard and lifted truck applications are available in most sizes. 18x9 6x135 / 6x139.7 -12 XD77889067212N $317.00 32.76 Lbs -->> Call or email for special deals! 18x9 6x135 / 6x139.7 +18 XD77889067218 $317.00 32.32 Lbs -->> Call or email for special deals! 20x9 5x139.7 / 5x150 +18 XD77829086218 $397.00 39.8 Lbs -->> Call or email for special deals! 20x9 5x139.7 / 5x150 +35 XD77829086235 $398.00 39.8 Lbs -->> Call or email for special deals! 20x9 6x135 / 6x139.7 +18 XD77829067218 $402.00 39.8 Lbs -->> Call or email for special deals! 20x9 8x165.1 +18 XD77829080218 $397.00 39.8 Lbs -->> Call or email for special deals! 20x10 5x139.7 / 5x150 -12 XD77821086212N $401.00 43.1 Lbs -->> Call or email for special deals! 20x10 6x135 / 6x139.7 -12 XD77821067212N $405.00 43.1 Lbs -->> Call or email for special deals! 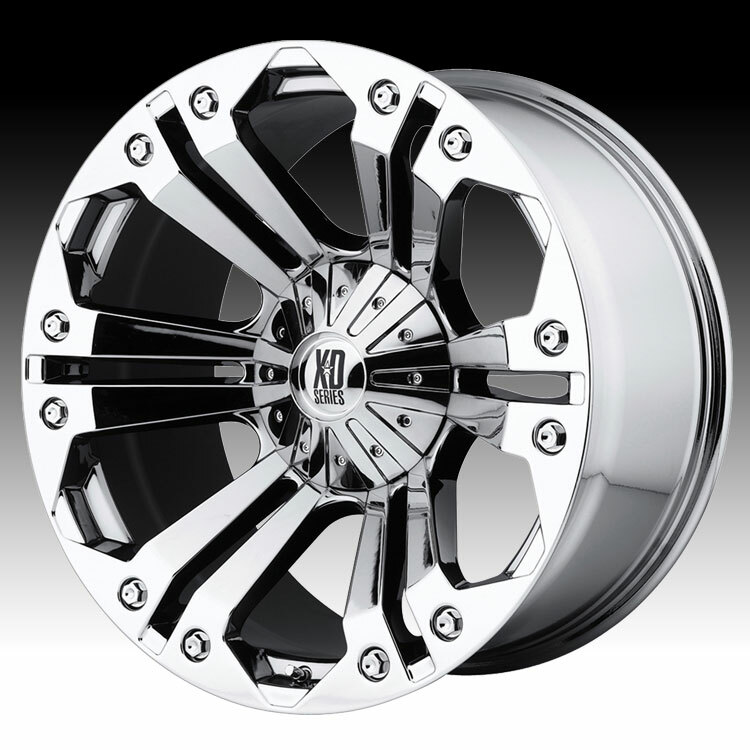 20x10 8x165.1 -12 XD77821080212N $401.00 43.1 Lbs -->> Call or email for special deals! 20x10 8x170 -12 XD77821087212N $401.00 43.1 Lbs -->> Call or email for special deals! The wheels fit perfectly and the locking lug nuts made the installation a breeze, the wheels showed up only 4 days after my order!my truck turned out just how I wanted it too! The wheels fit perfectly and the locking lug nuts made the i ..